Free Shipping on Everything, Every Day! 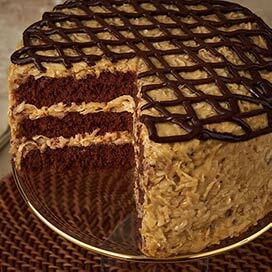 Our bakers and confectioners put their heads together to create this perfect three-layer cake infused with pieces of our Savannah's Original Pralines, and hand frosted with our secret Pecan Praline icing. 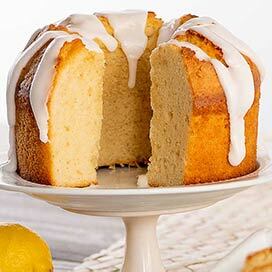 For best taste and texture, allow your cake to thaw completely at room temperature before serving. Enjoy up to 5 days at room temperature or wrap and freeze for up to 1 year. For best presentation, remove cake from packaging while frozen. I bought this for my birthday. It was sinfully delicious and moist. My new go-to special dessert. And SVK has terrific customer service! Ordered this cake at the last minute for overnight delivery for Christmas. Arrived Christmas Eve day, perfectly frozen and just as stated in the description. Cake was of exceptional quality and taste. A winner!! 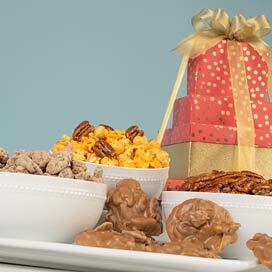 Sign Up Now To Get Our Sweetest Deals! Love Our Products? Share with us! Standard shipping is included free of charge! Express shipping options add a charge for each item to that address. We ship your packages through UPS and the US Postal Service, Monday through Friday. All shipments leave from Savannah, Georgia. Standard shipping orders will ship on the next business day. Express shipping orders placed before noon (12:00 P.M.) Eastern Time will ship on the same day. If you need something on a specific date and are not sure when to request your shipping date, please call our customer service representatives any time at 1-800-443-7884. 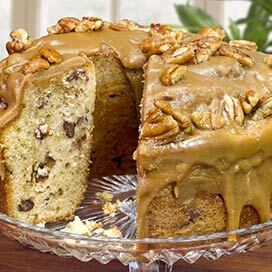 Baked Goods: To ensure freshness, all baked goods must be shipped to a street address in the continental United States. Baked goods packed with dry ice have additional restrictions, described below. P.O. Boxes and Puerto Rico: Express shipping is not available to P.O. boxes or Puerto Rico. We cannot ship baked goods or dry ice to P.O. boxes or Puerto Rico, as it is impossible to guarantee timely delivery. Alaska & Hawaii: Items shipped to Alaska and Hawaii must ship Two-Day Express to ensure quality. We cannot ship baked goods or dry ice to Alaska or Hawaii, as it is impossible to guarantee timely delivery. Military (APO/FPO): We are very proud of our military and will gladly ship your purchase at no charge to the men and women serving our country overseas. Please allow 7-14 business days for arrival. 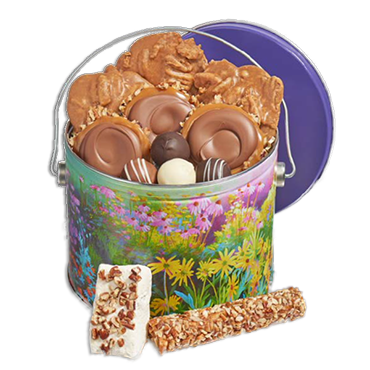 We cannot ship baked goods or dry ice to APO/FPO addresses, as it is impossible to guarantee timely delivery. International: We don't offer international shipping on retail orders at this time. 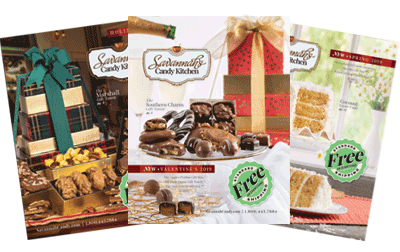 Interested corporate customers should contact our dedicated business associates at corporate@savannahcandy.com or 1-800-242-7919. Orders with dry ice must be shipped to a street address in the continental United States. Remember, orders will not ship the same day they are placed, unless ordered before noon Eastern Time and upgraded to Express shipping. Our representatives are ready to help you! Call 1-800-619-3993 any time and let us set your mind at ease. 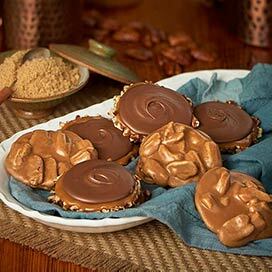 © 2017 Savannah Candy Kitchen 2019 Savannah Candy Kitchen. All Rights Reserved.